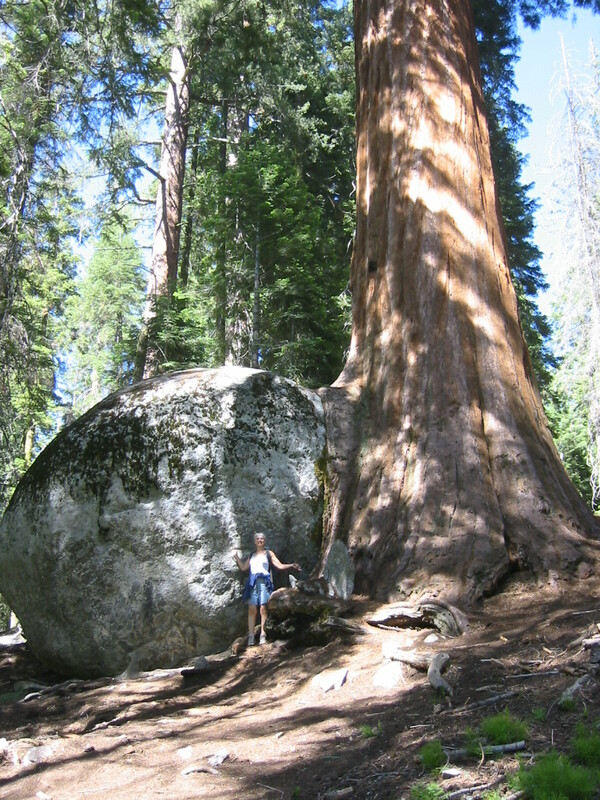 Sequoia trees are recorded as the largest trees on Earth. 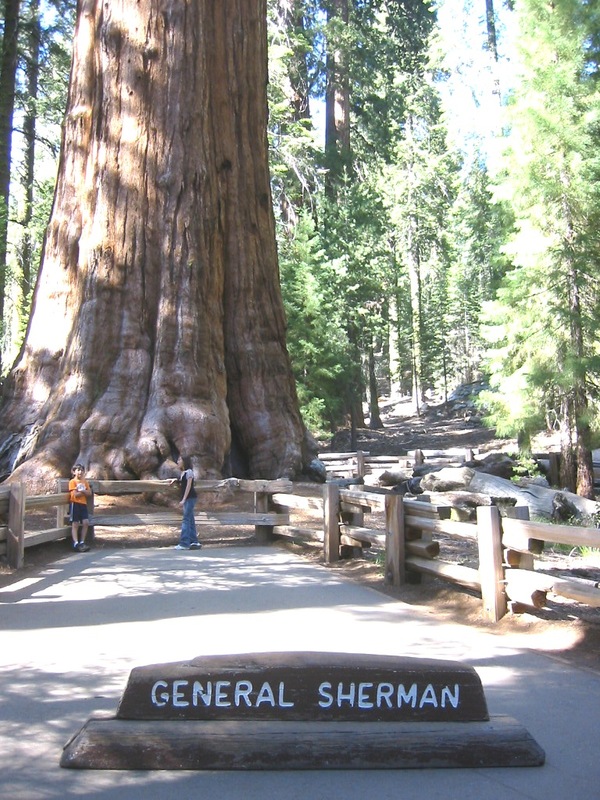 These magnificent natural wonders are found ONLY in the Sierra Mountains of California. 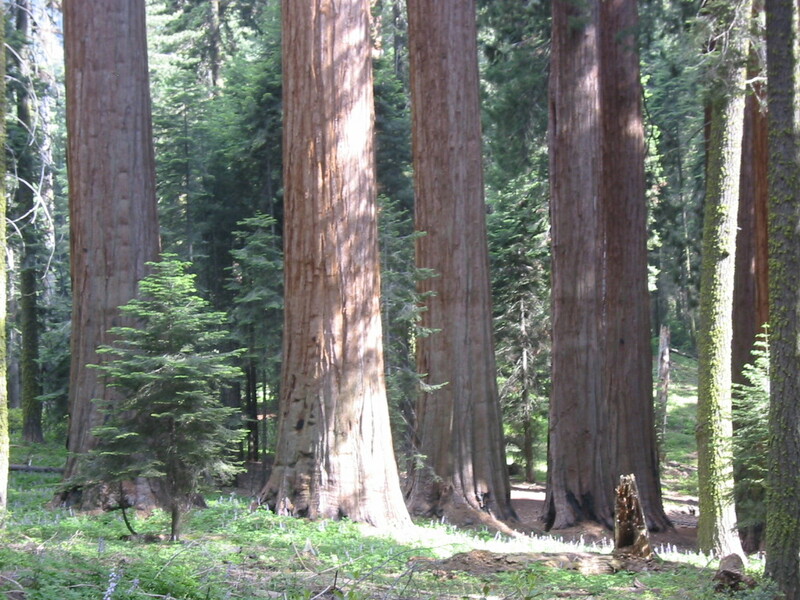 Elsewhere, there are other gigantic trees known as Redwoods, but the Sequoia grows only in the Sierra Mountains due to specific climate and soil conditions. 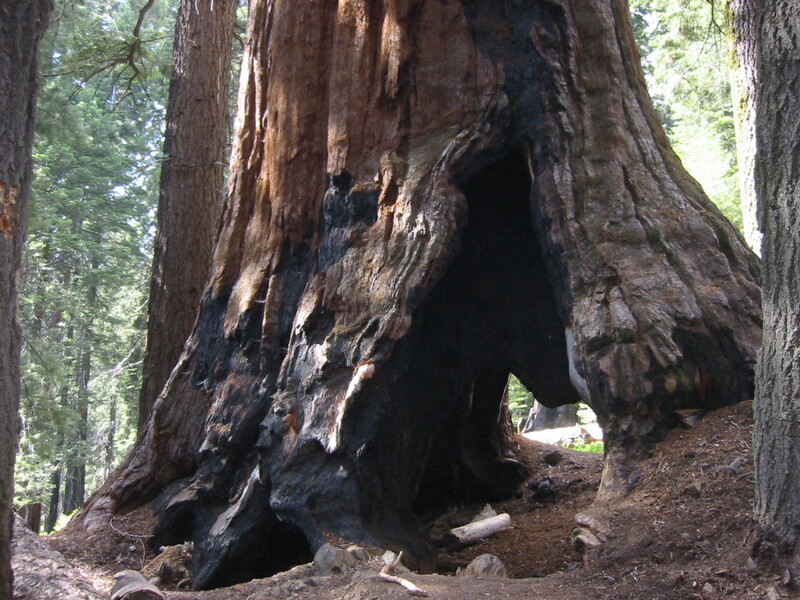 The inner core of the tree is protected by the outer layers, therefore, it is possible for a Sequoia to survive fire and other adverse conditions. Indeed, fire is necessary for the sprouting of its seedlings. 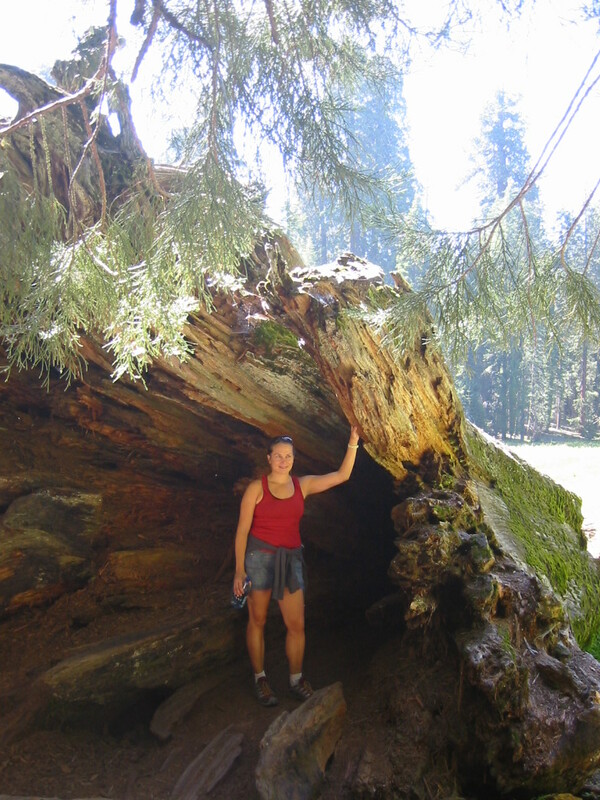 Research suggests that some Sequoia trees have been growing for over 2000 years. In the past seven weeks I have hiked among these Giants and can testify to their power and beauty. If trees could talk what stories could be told ? !! Surprisingly most of the other hikers I meet are from other countries. Please!! You owe it to yourself and your country to plan a trip to visit these beautiful national heroes!! Photo Captions: Please click back and forth for a full view. #6. 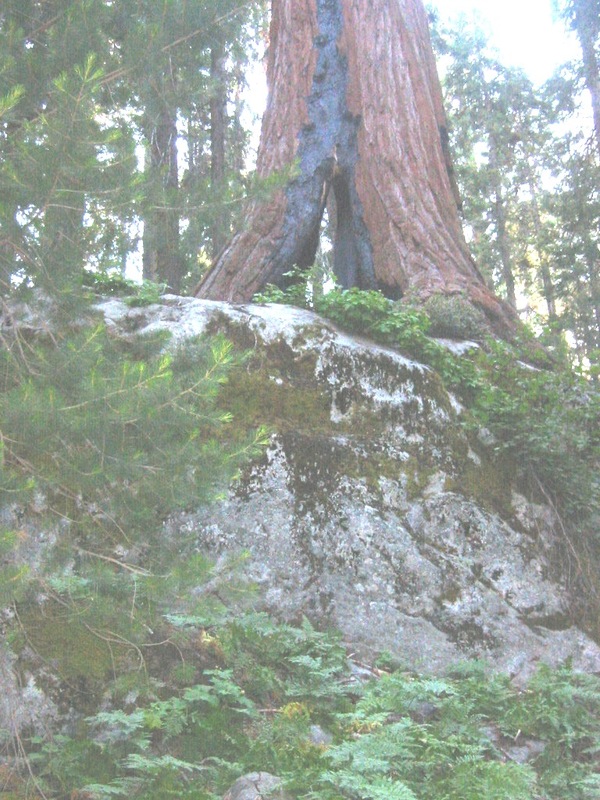 Tree and boulder become one!